I suppose you’re reading this because you, like many other breastfeeding moms looking for a milk supply miracle want to know, does Body Armor drink increase milk supply? Before I give you my definite answer to that question, let’s inspect this Body Armor drink and discover where these claims are coming from. I want to first analyze some milk boosting ingredients that we already know have lactogenic properties. Incase you’re not familiar with that word, lactogenic. The definition literally means inducing lactation. Inducing lactation, that sounds great! So, what are some common food ingredients we already know induce lactation? The list of foods above are all considered galactatgoues, which is more specific to a food or medication that promotes the secretion and flow of breast milk. Not a fan of the word secretion, but maybe that’s just me lol. Now that we have a solid list of common food ingredients that are proven to increase milk supply, let’s look at Body Armor’s list of ingredients to determine if we can spot any galactagogues. Let’s look further into these ingredients and determine which ones may be inducing the increase in milk supply production. Magnesium is a listed ingredient and can benefit a menstruating mother while she is still breastfeeding. Taking calcium and magnesium before your period starts to combat the loss in milk supply is a great preventative measure. Coconut water is a well-known natural milk booster because of how hydrating it is. With coconut water being the third ingredient in the Body Armor drinks, it makes sense why it packs such a powerful lactogenic effect. P.S. Further down the page, I’ll have a link for my copycat milk boosting pink drink! These drinks are also packed pull of vitamins which will help to nourish a mother’s cells and benefit her over-all health which leads to a body that is primed to produced breast milk. Incase you are wondering if there are any other drinks I know of that also increase milk supply other than Body Armor, here are some I found that had some pretty significant effects. Beer works to increase milk supply because of it’s barley content which has been known for centuries to increase milk supply. Guinness seems to be the recommended beer of choice for this purpose because it’s lower in alcohol content. Therefore, a breastfeeding mom can enjoy a Guinness from time to time without having to worry about dumping her liquid gold in spite of it. Here is another best kept milk increasing secret drink breastfeeding moms have accidentally and gladly stumbled upon. This pretty pink drink from Starbucks will hydrate you to the max with added coconut milk. However, if you don’t want to pay the $5 + everyday for the extra ounces of breast milk, you can make it at home with my copy cat Pink Lactation Drink Recipe for a fraction of the price! You can also find lactation teas at places like Earth Mama Organics, my personal favorite brand for organic pre and postpartum products. Head over there after you read this to check out their wonderful inventory for expecting and new mamas! Smoothies are probably my favorite way to drink your way to more milk! You can whip them up super fast, be creative with the flavors and add in tons of healthy foods that increase milk supply! Here are a few smoothie recipes I created that taste amazing and do wonders for your milk supply! The “secret” lactation ingredients (find on Amazon and get Prime for free shipping!) I add to my smoothies are bone broth protein powder, flax oil or ground flax seeds and powdered brewer’s yeast. Find these lactation ingredients to add to your smoothies on Amazon and start inventing some milk making smoothies you’ll love! Hey mama, I know that you worry about what could go wrong with breastfeeding and how to best manage your milk supply. Those things can be tricky to navigate. I’m a first time mom as well and I struggled with those things too! The good news is that you don’t have to suffer like I did, because The Ultimate Breastfeeding Class is now available to be your solution to these breastfeeding and breast milk struggles! 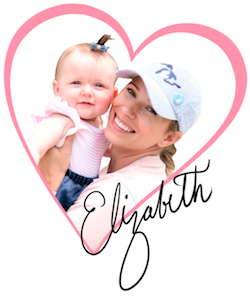 This is a must-have and super affordable online course for new moms – Go check it out for yourself! Get an inside sneak peek of the course here. 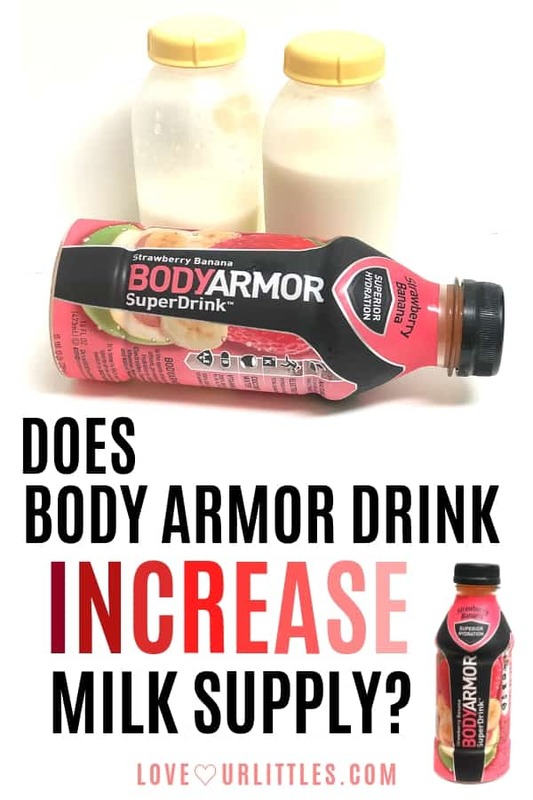 Does Body Armor Drink increase milk supply? That was the question and I’d like to confirm that yes, I believe it does increase milk supply. It did for me and it does for many more lactating moms. I believe the main reason Body Armor works so well to help breastfeeding moms produce more milk is because of the many vitamins, minerals and coconut water it’s made with. This drink is also a great option for moms who struggle to stay hydrated while breastfeeding because water is just not their favorite thing. However, the regular Body Armor drinks do contain a lot of sugar, but there is a lyte option available as well if all of that extra sugar is something you’d rather stay away from. I understand how desperate we can get to make enough milk for our little ones. Which is why I try to find you the best resources to help you master your milk supply and breastfeed with confidence. The internet offers so much information now and can be such an amazing help if we know where to look. If you’re seeking something that can provide you with quick and convenient solutions to your breastfeeding, breast pumping and milk supply challenges, an online course is where you should invest a little bit of your time. Come check out the quality courses I recommend and learn how they can help you achieve your breastfeeding goals with less stress and worry!